You've successfully signed the petition below. Your signature has been verified and counted. 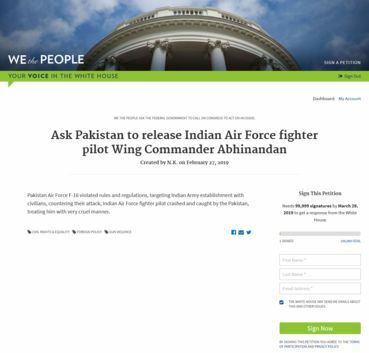 Shameless people of Pakistan attacking Wing commander Abhinandan & unprofessional Pakistan army is not even stopping them!! !